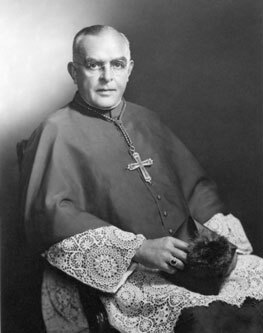 The Most Reverend John J. Boylan, D.D., Ph.D.
John Joseph Boylan was born in New York City on October 7, 1889, the son of Lawrence and Bridget Morrissey Boylan. At a young age his family moved to Rhode Island where he attended Catholic grade and high schools. He completed his college classical studies at Mt. St. Mary College, Emmitsburg, Maryland. John Boylan studied philosophy and theology at St. Bernard Seminary, Rochester, New York from 1910 to 1915, and was ordained to the sacred priesthood at Providence, Rhode Island, by The Most Reverend Thomas F. Doran, Auxiliary Bishop of Providence on July 28, 1915. Father Boylan was ordained for the Diocese of Des Moines, Iowa. Father Boylan’s first assignment was as Assistant at St. Francis Parish, in Council Bluffs, Iowa, but this was to be a brief assignment. Soon he was assigned to complete further studies at The Catholic University of America inWashington, D.C., and then on to the Pontifical Atheneum in Rome, Italy where he obtained a doctorate in Sacred Theology. In September 1918, Father Boylan was appointed to the faculty of Des Moines College by the first Bishop of DesMoines, Austin Dowling (this College would be renamed in his honor and Bishop Dowling would become the Archbishop of St. Paul). During his years on the faculty, Father Boylan did further studies at both Iowa State University and at Harvard University earning, in time, a Ph.D. In 1923, Father John J. Boylan was named President of Dowling College and remained in that post for the next 20 years. In 1933, he was named a Right Reverend Monsignor by Pope Pius XI, and in 1934, Bishop Gerald T. Bergan, named him Vicar General of the Diocese of DesMoines in addition to his duties as Dowling College’s President. Pope Pius XII named Monsignor Boylan a Protonotary Apostolic in 1941, citing him for his exemplary work in the field of Catholic education. 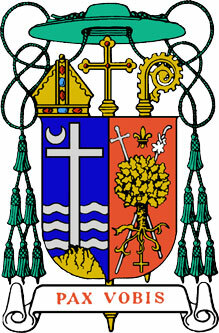 John J. Boylan was consecrated a bishop on February 17, 1943, at St. Ambrose Cathedral, Des Moines, Iowa, by TheMost ReverendGerald T. Bergan, Bishop of Des Moines, and the co-consecrators were Bishop Henry P. Rohlman of Davenport, Iowa, and Bishop Edmund Heelan of Sioux City, Iowa. TheMost Reverend John J. Boylan was installed as the third Bishop of the Diocese of Rockford by the Archbishop of Chicago, Samuel A. Stritch, at St. James Pro-Cathedral, Rockford, on February 24, 1943. The ten plus years of Bishop Boylan’s episcopacy were years of continued growth in the diocesan Catholic population. It was also a time of further development and refinement of the Diocese’s growing Catholic educational system, and the realization of the necessity to create more parishes and to expand the Church’s charitable apostolates. These needs had to be met by Bishop Boylan while, at the same time, he devoted himself to retiring the Diocese’s debt accrued from continuous expansion and development. This was made all the more difficult since World War II would not end until 1945 and the United States would experience an economic slow-down in the years immediately following the war’s end. However, none of this deterred Bishop Boylan. 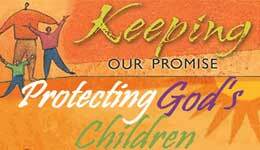 In fact, his total dedication to the Diocese bore good fruit as Catholic schools grew, vocations to the priesthood and religious life increased, the work of Catholic Charities expanded and organizations for Catholic youth were fostered. The priests, religious and laity of the diocese were stunned and grieved to learn that Bishop Boylan had died while on a visit to his family in Rhode Island, July 19, 1953. Most were aware that he had undergone successful major surgery in December 1952. He seemed to have recovered and had returned to Rockford and his duties the next February. Still, the serious nature of Bishop Boylan’s condition was not widely known, and his death was a shock even to his closest collaborators in the diocese. Samuel Cardinal Stritch, Archbishop of Chicago, officiated at Bishop Boylan’s Funeral Mass, at St. James Pro-Cathedral, July 24, 1953. Bishop Boylan’s friend and mentor, Archbishop Gerald T. Bergan of Omaha (formerly Bishop of Des Moines), and principal consecrator at Bishop Boylan’s installation only 10 years earlier, preached the funeral sermon. Though his death was a great loss, Bishop Boylan had made a lasting impression on the Catholic faithful of the Diocese of Rockford.